Burj Al-Luqluq Social Center Society organized a ceremony for Jerusalemite families who were participated in the tournament ‘We are the owners of this land’. The ceremony involved on 73 Jerusalemite families and has been organized through the project ‘Shababek Ya Quds’ which was funded by Burj Al-Luqluq, supervised by Welfare Association and funded by the Jerusalemite businessman Munir Al-Kaloti. At first, the executive manager ‘Muntaser Idkaidek’ presented a welcoming speech for the crowd and for the participants in the attendance of more than 300 people. After that, the flame scouts band presented a scout show around Burj Al-Luqluq facilities, in addition to a speech of the Imam Abu Jaber Abdeen’. Many institutions honored Burj Al-Luqluq for this initiative including the executive manager of higher council for youth and sports ‘Mutasem Abu Gharbieh’, Y.M.CA representatives ‘Andre Bahbah and Yousef Fteiha’and representative of Al-Nasara nehborhood ‘Bilyas Al-Karmi. 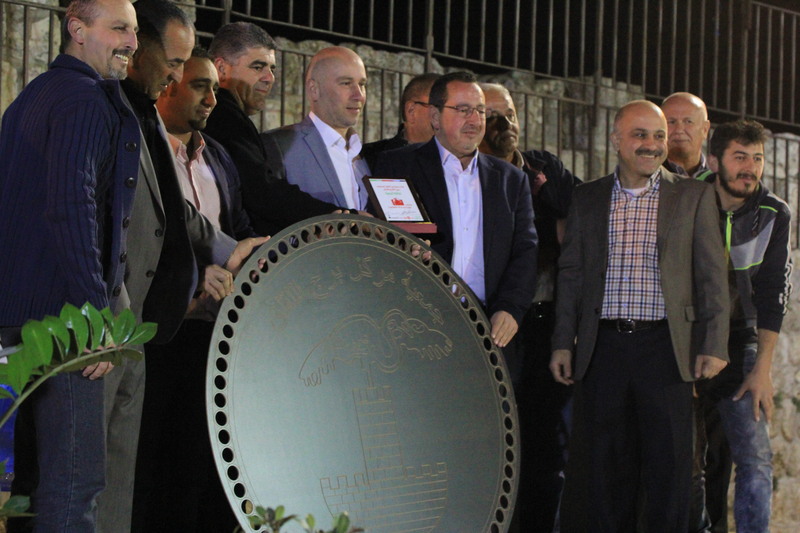 Furthermore, Naser Qaws, Ala’ Haddad and Awad Salaymeh honored jerusalemite routes team. It’s worth mentioning this tournament has attracted more than 25000 fans within the stands, grounds and Jerusalem’s historical wall.